When you attend any given conference or convention, there’s a good chance you’ll see or meet some well-known folks in the industry. 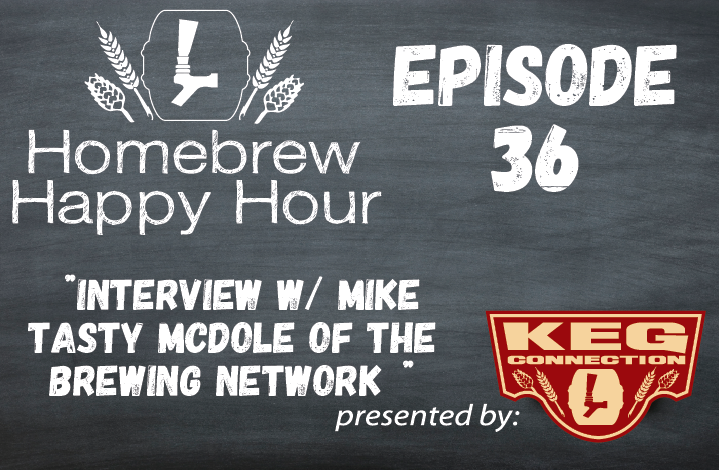 At #HomebrewCon, we were starstruck getting the chance to sit down with the Brewing Network’s own, Mike “Tasty” McDole! Mike (better known as “Tasty”, if you aren’t aware) was an extremely humble guy, especially for someone who is infamous across a multitude of homebrewing forums and communities. We KNOW you’re going to enjoy hearing more about Mike on today’s show!